Drink plenty of water, coffee and tea as allowed in the original protocol. Dinner is a huge steak with an apple or single raw tomato. What is a “huge” steak? It might be 12 ounces or it might be 2 pounds. Let your body tell you when to stop. You don’t need to eat to discomfort. A steak day is recommended when the scale has increased by more than 2 pounds since the last weigh in. 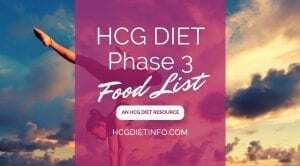 It is important to note, that even if you are following the Hcg Diet protocol perfectly, you can still have a gain in water weight or experience inflammation that can increase those numbers on the scale. No matter the reason for the gain, the steak day is the remedy. At least 4 days must pass before a second steak day can be done. If 4 days has not passed, but the first steak day has not dropped the scale below the 2 pound gain, a high protein day can help. Another option is to continue with a regular Phase 3 protocol, while avoiding any “iffy” foods. This will often allow you to avoid another steak day. It is not advised to do 2 steak days in a row, as that puts too much stress on your body. 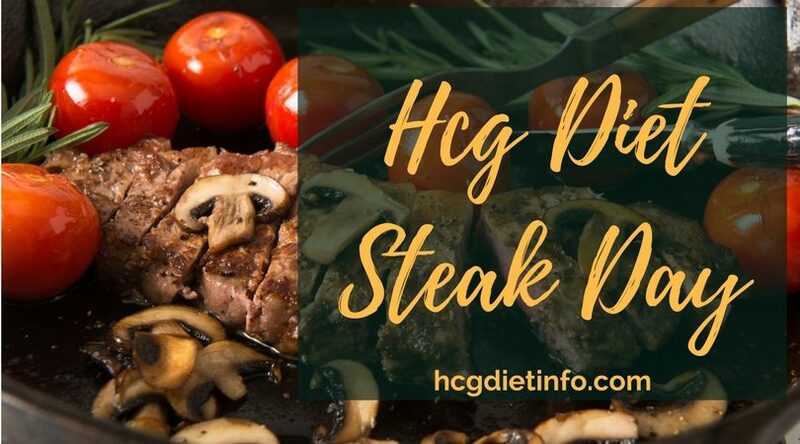 What is the purpose of an Hcg Diet Steak Day? An Hcg Diet steak day is an amazing tool in the stabilization process. It’s purpose is to give your body a reset to your new set point weight. How does it work? After a period of relative fasting, your body is in a mode where the benefits of the steak, apple or tomato can be maximized. Water retention from inflammation, excess salt or hormonal shifts can be cleared quickly using this technique. The intermittent fasting aspect of the steak day can also give a further boost to your metabolism. The natural diuretic effect of the proteins in the steak cause your body to release water. Extra water is being stored and is hard to budge without a nudge like a big, juicy steak after a period of relative fasting. This technique flushes out that water after only one day. How good is that going to feel? The apple or tomato provide some fiber to help the steak digest and also help to clear your body of any toxins that have been building up during the day. Their natural antioxidants and minerals will help neutralize the nasty stuff in your blood and help it flush out with the excess water the steak is helping you get rid of. Apples and tomatoes contain lots of minerals and vitamins your body needs. Good eating is more than not consuming bad things. Your body has to have a regular input of essential nutrients. These help you maintain weight as your body is functioning healthily and not being forced into survival mode from the lack of nutrients. You’ll feel really good for it too. There’s nothing as refreshing as an apple or tomato when you’re famished. It’s all part of the intelligent design of the Hcg Diet Plan. If this is only day one or two of a gain, don’t worry! The steak day is your remedy. Your body needs a good supply of healthy fat, that’s part of the healthy diet and body we’re aiming you towards, so the big juicy steak on Steak Day provides you with what you need in the right way. Fat isn’t bad, just remember that you need the right amount of the right fats. You’ve lost so much fat with the Hcg diet that a daily intake of the healthy fats allowed in P3 and in the Steak Day are critical to your success. On a steak day, you get the benefit of the excess water being flushed out while providing your body with the healthy fats, proteins and minerals it needs. If your steak is lean, you can add some additional healthy fat by cooking in butter or olive oil. An Hcg Diet steak day can be something to really look forward to. In fact, your food volume in P3 increases so much over what you were eating in P2, that it often can be a relief to do a steak day. When you’re dieting you may get intense cravings, that’s part of the deal, so if you’re craving meat, which many of us do, a steak day can be wonderful. If you haven’t eaten much meat recently, your body will respond in an amazing way. Just watch to see how it feels when your body is digesting all that delicious protein and fat. It’s an incredible feeling. One great way to look forward to that steak at the end of your day? Plan it! Find an Hcg Diet friendly steak recipe at Hcgdietinforecipes.com or allrecipes.com. Take your time, and make something amazing that will be worth the wait. If you are stressing… remember, all Hcg Diet challenges pass. This weight bump challenge will pass, so relax. The Hcg diet has it built in because it is part of how the body loses and maintains weight. Weight loss isn’t a linear curve, it comes and goes, so don’t stress: what is happening is natural and part of the plan. 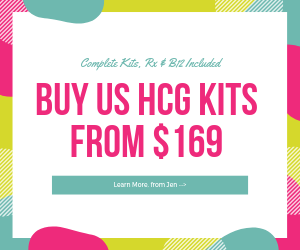 That’s one of the reasons the Hcg system is so successful, it anticipates these little challenges and gives really effective tools and methods for dealing with them. 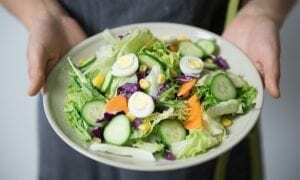 The Hcg Diet Steak Day is one such effective method, giving your body a healthy detox, plenty of protein, minerals and fats to survive on, and you something to enjoy. That sounds like a very sensible plan you can put your faith in, and a tool that can serve you well in maintenance. Remember to drink plenty of water. At least 2 liters of water a day will help your body flush out the built up toxins and the excess fat. A good supply of water is part of a healthy metabolism, a lot of problems are caused by not getting enough. Keep on top of your cleansing process and make sure you’ve got plenty of water to drink. A food journal is essential, it’ll give you a solid record of what foods might be causing the weight gain. It’s much easier to spot patterns in your weight loss and diet plan if you have it written down in front of you. So, every day make a note of what you’ve eaten and drank and you’ll be able to see clearly what, if anything, is causing the challenge, or what is the best food for avoiding it. A journal can help you take control of your diet and help you plan effectively for the future. If the gain is just a blip, then it’s just a blip. If you can correlate it with a certain food, you can adjust your Hcg plan to see whether that food was the problem. Hcg Diet Steak Day Buddy Support! Talk about your HCG diet steak day for support. If you have a doctor or nutritionist at hand, that is an expert in protocol and well aware of the Hcg Diet steak day approach, that can be useful for clarification. If you can have them on-side and willing to help you, it’ll make life much easier. 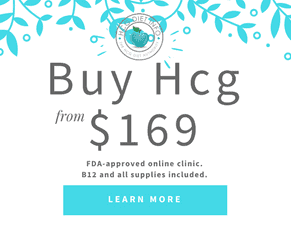 There is also nothing as good as having an Hcg Diet buddy who you can discuss your problems with, so when a challenge comes along in your Hcg Diet, you can tell them and lighten the load. A problem shared is a problem halved, as they say. You’ll feel much more confident about getting past the challenge if there’s someone by your side who understands. Don’t have an Hcg Diet buddy yet? Find one in the Hcgdietinfo.com forums! Good Luck with your Hcg Diet Steak Day! We wish you all the success in getting over this challenge and with your Hcg diet in future. Remember, a temporary weight gain of just a few pounds is merely a little bump in the road. If you stick to the plan, your body will adjust and the weight will stabilize again. When you find a steak day doesn’t work for you, it is likely because the gain is from inflammation from something you ate. Eat mostly protein for a couple of days, and the inflammation will likely subside and you’ll drop down from the steak day, even if it’s a little later than expected. Contrary to what you might have heard, a steak day does not slow down your metabolism. All the research about intermittent fasting makes this clear. Some have even lost a bit of weight in P4 by doing steak days every week. Some do other types of intermittent fasting to drop a few pounds. It is not harmful, and it is the Simeons protocol which I very much believe in. So when you are more than 2 pounds over your LIW, I advise a steak day. Visit Grammy in the Hcg Diet Info Forums. 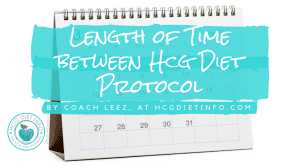 Leez is a leading authority on the Hcg Diet. Her own Hcg Diet success story includes a weight loss goal of 77 pounds lost and maintained for many years now. 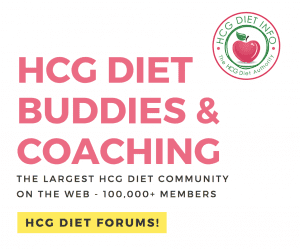 When she is not sharing her knowledge in articles here on HDI, she is volunteering as an Hcg Diet Info Forums Chief Moderator, and has provided guidance for millions of Hcg Dieters there. 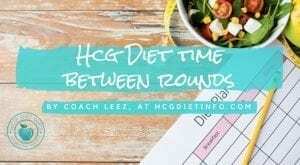 Be sure to join her monthly support group in the Hcg Diet Info Forums: “Leez’s Loaders” and feel free to ask about her experience with Diet Doc Hcg weight loss program. 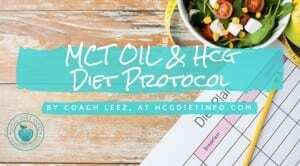 The Hcg Diet and MCT Oil: Yes or No?